Hope everyone is having a great week! It’s been kinda crazy over here dealing with jet lag and getting caught up on some work. I absolutely love traveling, but sometimes it feels so good to be back home and getting back into a routine! I know our pups are loving it too. 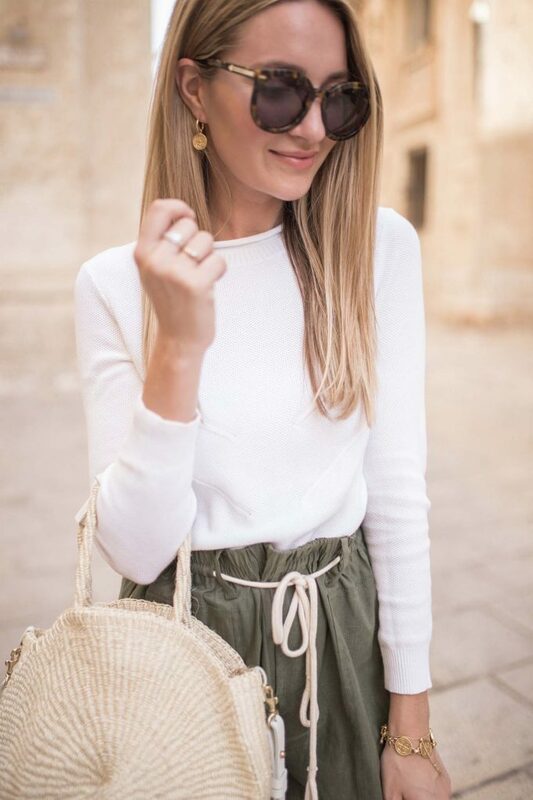 I’m so excited to share some shots from our trip to Malta today, and these olive linen shorts that turned out to be one of the most worn items on my trip! Firstly, I cannot rave enough about Malta. The weather, the food, the scenery – everything about it from the moment we stepped off the plane was beautiful. We didn’t have any tours planned in advance, so we really had fun just exploring by ourselves. We went with one of our closest couple friends and rented a car, so we had no problem getting around. We were able to hit up all the recommended spots that we found both online and from chatting with people. One of our favorite spots was Mdina, the silent city. It’s completely tucked away, and we had a blast walking down all the little alleys and hidden streets. Thankfully, we had our phones and navigation to help us get around! The nights in Malta are definitely chillier, so I made sure to bring a few sweaters with me in my tote whenever we went out on long day trips. These olive linen shorts from Vince were by far one of my most grabbed for items. I threw them on with a tank during the day and switched to a sweater and flats for evening! Olive has been my go-to color lately, so when I saw these at Nordstrom before my trip, I knew I had to have them. Plus, I love the rope detailing of the waist tie! 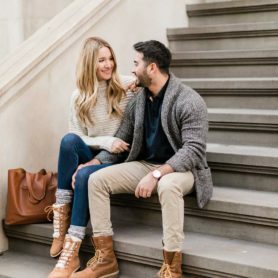 Vince is one of my favorite brands for both quality and timeless pieces, and whenever I’m at Nordstrom or browsing online I always makes sure to check out their amazing selection of pieces! They are great for traveling especially when your aiming to create a capsule wardrobe for your trip without overpacking! 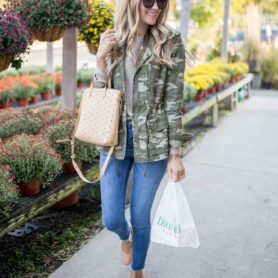 SWEATER: Nordstrom | SHORTS: Vince | SANDALS: Nordstrom | BAG: Clare V.
Today’s post is in partnership with Nordstrom. All opinions are my own!